Have you ever been interrupted? Working on something you love and then bang – something comes up and you have to pause a moment. Life happens. I wonder how God feels when we try to finish what He started in us? Recently I am learning to stop, pray, and trust God. I’ll admit it, sometimes I try to finish what God started in me. He is the Author and Finisher of my faith. He loves us – faults and all. 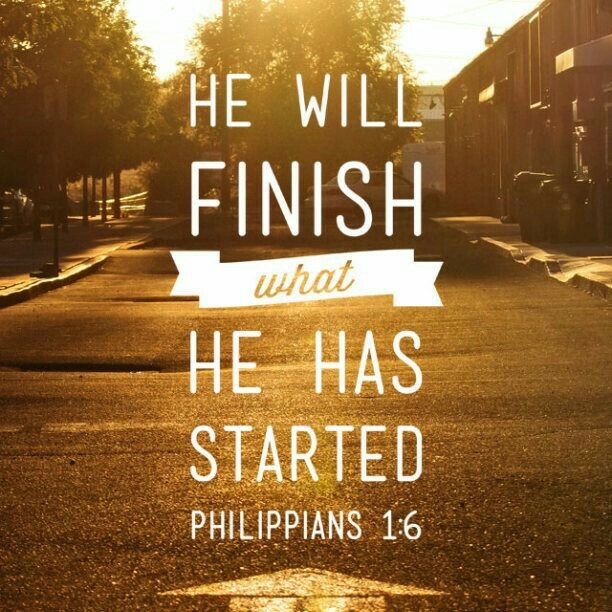 Everything that is not done yet is finished in Jesus. He is our beginning and our ending. It is finished – Hallelujah!! Posted in faith, God, Religion and Spirituality, Spirituality and tagged alpha, faith, God, omega, Trials, trust, trust god. Bookmark the permalink.